Dubai: Indonesian expats living in Dubai and the Northern Emirates will be voting for the country’s presidential elections on April 12, the Indonesian Consul General announced on Sunday. The expats will vote ahead of the elections to be held in Indonesia on April 17. The voters will choose between incumbent president Joko Widodo and former military general Prabowo Subianto. The voters will also cast ballots simultaneously for legislative members from 16 national parties in the fray for 20,000 seats in national board and local councils. “This is a chance for all Indonesian expatriates to exercise their political rights. This is the time for us to fight for our choice so that we are able to live together in harmony and give a new direction to our country,” said Rizwan Hassan, Consul General of Indonesia in Dubai. He added that the entire election process is managed by community members in collaboration with the consulate general. “We are reaching out to our people through various channels to make them aware of the voting facilities available in the UAE. We are also trying to create political awareness and why it is important for them to vote,” he said. The registered voters will be able to cast vote through eight polling stations at the Consulate General in Al Hudaiba. Polling stations will be open from 8am to 6pm on Friday, April 12. “We are holding the elections on Friday to make sure most people reach the consulate to vote,” Hassan added. He added that security, stability and greater economic prosperity will be topmost on the minds of most voters. The UAE is home to 105,000 Indonesians, with more than half of that number living in Dubai and the Northern Emirates. According to Indonesian election rules, any Indonesian 17 years old or above is eligible to vote. Additionally, anyone who is below 17 but is already married can vote. 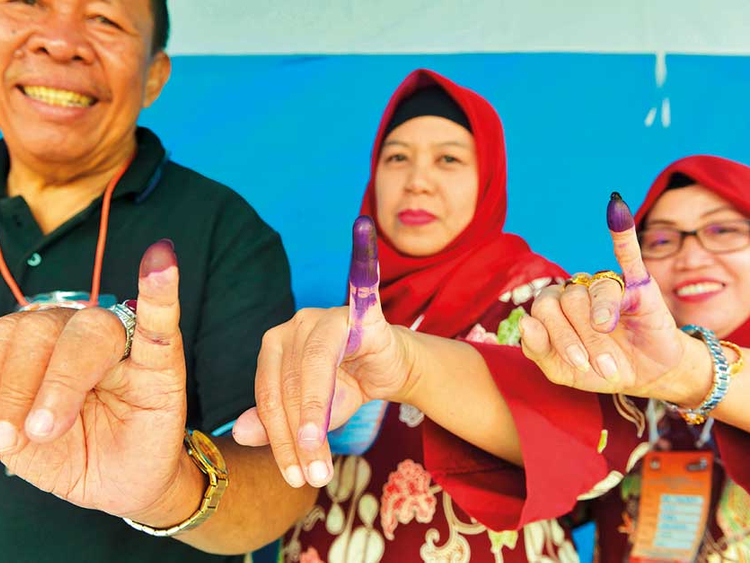 Around 75 per cent of Indonesians registered to vote in Dubai are women.